In a world that’s more inter-connected than ever, there’s one thing that stays the same: first impressions count more than you want to admit. And when it comes to dating, what with the rise of online dating platforms, Instagram pictures, and Tinder profiles, this is particularly true. 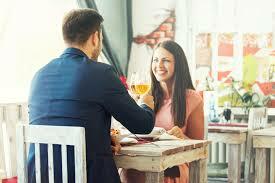 The last thing you want to do with your date is to have to sit at a table and talk (things can get boring and awkward really quick if you run out of things to say) – find something to do! You can always go with the time-tested formula of dinner-and-a-movie, but there are other variations, such as taking a long walk, or trying out a new bar or restaurant, or even getting tickets to a sporting event or a concert. 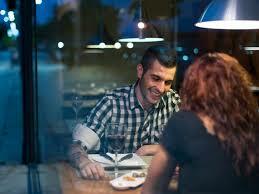 Chances are that your date is also nervous, and a moment of shared laughter can break the ice when you time it right. What’s important is that the two of you have something in common, and once you have that, the conversation can flow much more smoothly. If you’re really concerned about being nervous to the point of being tongue-tied, focus your attention on him/her. It helps to take away just a little of the self-consciousness. No, you don’t need to know all the right things to say. Nor do you need to write them down on paper. What you should keep in mind, however, is that your conversation-starters have to be ones that will spark interest for both you and your date. It could basically be any question, from choice of inspiring films, to influences, to even the greatest risks they’ve taken in their lives. As long as it will have the two of you talking about your interests and opening up for hours on end, ask away! Don’t think of the date as an obligation or as a way to get something you want. Because the first date can easily be nerve-wracking, you don’t want to add any more reasons to feel pressured and make it strained. Instead, focus on having fun and don’t take the occasion too seriously. If the two of you feel awkward over your dinner date, don’t hesitate to pay the check and switch it up – you may simply be in need of a change of scenery.